If you take part in any type of legal car racing on the track, you will be asked to wear auto racing helmets for safety reasons. In the case of a crash, the helmet you choose may make the difference between life and death. The best car racing helmet is the Conquer Full Face Auto Racing Helmet, which is Snell certified and constructed of a lightweight fiberglass composite shell. Factors such as styling, weight and fitting are the three main concerns by many people. However, before purchasing one that meets your requirements, you should ensure that the auto race helmet is Snell SA2015 certified. It may be tempting to go for cheap examples that just about meet safety standards. However, you must remember that auto racing helmets provide protection for your head and you will want one that far exceeds the safety requirements. Fitting is a big issue and the majority of brands will base their auto racing helmets on your head circumference. It is highly recommended to use a cloth tape measure to get an approximate size of your head for the helmet. A proper auto race helmet that exceeds the safety standards is a worthwhile investment that can potentially safe your life. Below is a list of the best auto racing helmets that come in a range of sizes and styles for the savvy racer. RaceQuip is the main competitor to the Conquer alternatives with a range of helmets available. They are a huge brand and their most popular helmet is the PRO15 model, which uses expanded polystyrene liner as the shell. It is also available in 8 different sizes and you will have the choice of flat black, gloss black, gloss steel and gloss white colors. It is one of the best auto racing helmets and the perfect alternative for those that do not like the conquer styling. Conquer are one of the popular brand for auto racing helmets due to their low costs and various styles available. 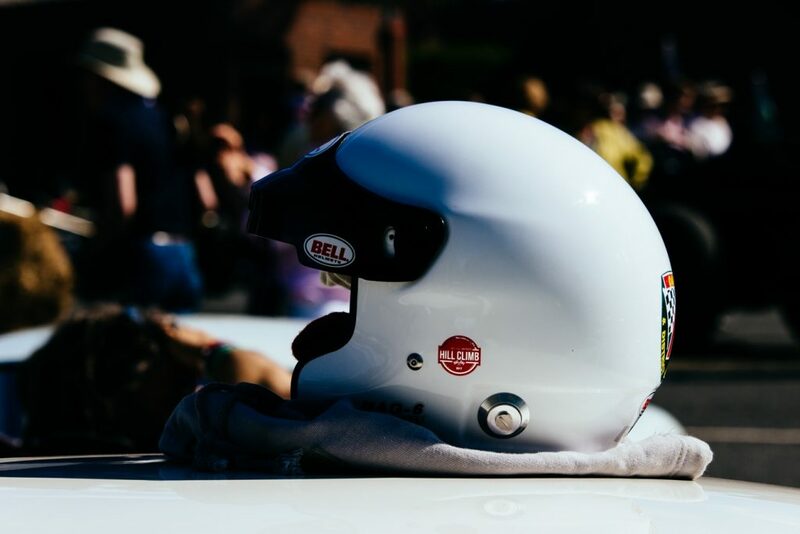 This racing helmet in particular is Snell Automotive certified (SA2015) with the sticker inside the helmet for peace of mind. The Conquer full face auto racing helmet is available in 4 different sizes and the choice of black and white colors for the savvy racer. Overall, it is the best auto racing helmet for the money and it is certified by regulations set by Snell Automotive. 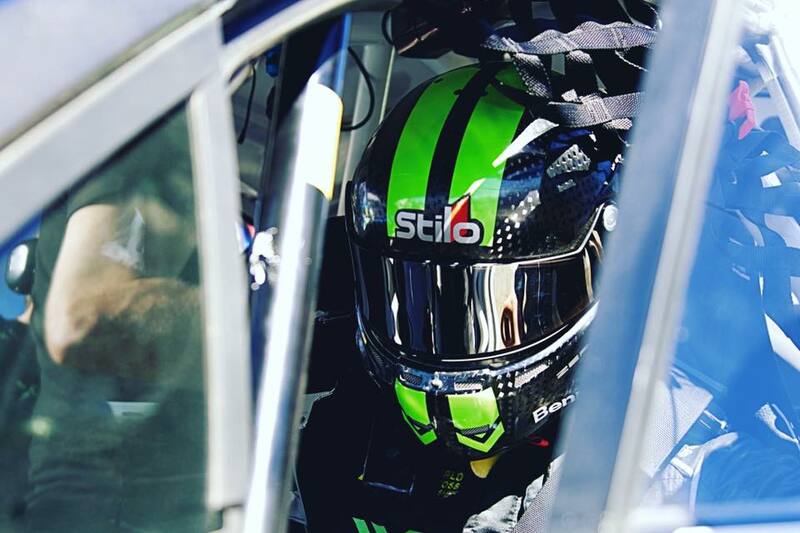 For those that are serious about auto racing, you may require a FIA 8860 helmet. The 8860 standard is by far the most strict certification and one developed first in Formula 1 by the FIA. For those that take part in professional racing, this may be a helmet required, which improves the overall helmet performance and safety. This is a professional racing helmet and many class it as the “super helmet” due to it exceeding the 8860 regulations set by FIA. Although this Bell racing helmet comes with a large price tag, it is by far the best performer and safest for track use. Bell produce a range of auto racing helmets from the FIA 8860 certified to cheaper SA2015 certified helmets such as this 2154033 model. It is a premium racing helmet that is great for those that take part in open wheel, closed car and karts racing. The unique selling point of this Bell auto racing helmet is the superior ventilation and aero styling with 10 intake and extraction vents. It is a great option for those looking for a comfortable racing helmet that exceeds the safety regulations required for automotive racing on tracks. For serious racers that want to spend a bit extra on a racing helmet, the carbon fiber model of the Conquer full face helmet is ideal. Instead of the fiberglass shell, this helmet is made from a premium carbon fiber. When it comes to aesthetics, the carbon fiber racing helmet is by far the best looking. However, it is not just the appearance that is beneficial, the carbon fiber makes the racing helmet lighter too. Due to the price, it is not ideal for the majority of racers but for those that are wiling to spend the extra, there is 3 sizes to choose from. For those that want an open face racing helmet, Conquer provide an excellent SA2015 approved alternative. Unlike the majority of open face alternatives, this is Snell Automotive rated, which will allow you to get on the track. However, its worth noting that some racing sanctioning bodies are moving away from allowing open face helmets, therefore you may want to check prior to purchasing this racing helmet. It is the best open faced auto racing helmet for the money that combines both comfort and maximum safety. However, as mentioned previously, even those it is SA2015 certified, you may want to check that the track accepts open faced helmets beforehand. Auto racing helmets should not be seen as a luxury but an essential part of your race equipment. They can be the difference between life and death in the case of a serious accident and using an unsafe helmet could be a costly mistake. There are various styles and designs with many opting for a comfort fit whereas many choose a lightweight tight fit. It is all dependent upon it use i.e. long endurance rally to a drag strip. When it comes to the safety, the majority of racing helmets will meet or exceed the Snell Automotive SA2015. If they do not, most track days or professional racing events may not allow you to participate. Below are some of the factors you need to consider before purchasing any helmet that you intend to use for auto racing. The safety of any racing helmet should be the most important factor. The helmet is protecting your head and its crucial that it has the best protection possible to avoid serious injury. The most common safety regulations are set by Snell Automotive (SA2015). Snell update their standards each year, which can be found here. If the racing helmet is not certified to the SA2015 standards, the likelihood of you being allowed on the track is fairly low. Therefore ensure that there are homologations or stickers inside the helmet as the staff at the track may require proof of this. A common mistake made by many is to assume that DOT is similar to the Snell safety rating. However, this is not the case as DOT is mostly intended for motorcycle helmets. For professional auto racers, you may have to consider a FIA 8860 helmet, which are much stricter safety regulations designed to improve the performance and safety of the helmet. These were developed first in the Formula 1 by the FIA. Further information regarding FIA 8860 can be found via this article. The main types of auto racing helmets are either full or open face. The choice between the two usually depends upon personal preference. However, as mentioned earlier, you should be aware that not all tracks will allow open faced helmets. They may indeed be Snell SA2015 rated but they are not as safe as full faced helmet. Benefits of the open face helmet include lightness, better airflow to remain cooler, easier to talk and view lower console controls. However, the main issue is the fact the helmet has limited protection from flying debris, which can cause serious injury. Unlike other items of clothing, your head size can be easily misjudged but at the same time it is easy to measure. The best way to measure your head circumference is by using a cloth tape measure and go round the widest part of your head, which is usually just above your eyebrows. Your head will not increase or decrease in size if you are an adult, therefore it is worth taking a few measurements to ensure you get the correct figure. You will notice that the shell of the racing helmet is constructed of fiberglass, composite or carbon fiber materials. Fiberglass race helmets are the cheapest option that are fairly heavy compared to the alternatives and provide less penetration resistance. Composite race helmets are the most popular as they are made up of a range of materials (kevlar, carbon and fiberglass). This means they hold beneficial qualities of each material and relatively affordable for the average racer. As you can imagine, carbon fiber race helmets come at a premium and suited to those that race quite frequently. This shell construction provide maximum strength for the best all-round protection from heavy impact or penetration. They are also the lightest option too for those that want maximum comfort. For those that have a relatively large budget to spend on a race helmet, there are many features to look out for. Ventilation is fairly important as without it, you do heat up with the helmet on after hours of racing. Therefore, look out for multiple air intake and extractions vents that keep you cool. Professionals may also want the best aerodynamics possible with design features such as a chin bar or spoiler. These features are design to reduce helmet lift at high speed, which can be fairly frustrating. However, you can add spoilers or chin bars at a later stage if you require them. As mentioned above, you may want to add custom parts to your helmet for performance. However, many racers may opt for further customization that comes in the form of a vinyl wrap, intercoms and other decals that include their name and nationality. You may also want to invest into a number of visors to suit different driving conditions. For example, racing in sunny conditions will require a smoked or mirrored visor to reduce brightness and glare in your eyes. An auto race helmet is not an item that is replaced regularly, it is usually kept for 10 or more years unless used daily. For this reason alone, if you are an avid racer, it is worth spending a little extra for a helmet that offers superior safety and a style that meets your requirements. Having a large budget does help but there are many cheap alternatives for those looking for a helmet that they may only wear a few times a year. All of our recommended racing helmets are suitable for a range of budgets and all meet or exceed the SA2015 safety rating set by Snell Automotive. Finding the correct racing helmet is crucial and there are a variety of options available to choose from. Hopefully this article will help aid your buying decision and improve your safety out on the track.